This accessible new textbook presents a practical introduction to phonetics, the study of speech. Assuming no prior knowledge of the topic, it introduces students to the fundamental concepts in phonetic science, and equips them with the essential skills needed for recognizing, describing and transcribing a range of speech sounds. 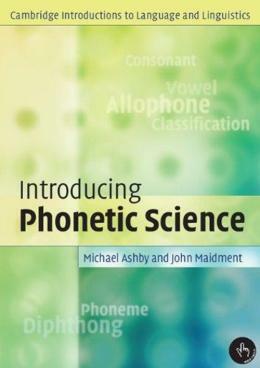 With numerous graded exercises enabling students to put these skills into practice, Introducing Phonetic Science provides a solid foundation in phonetics, and will be invaluable to students beginning courses in linguistics, speech sciences, language pathology and language therapy.